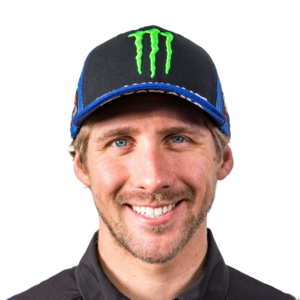 Justin Barcia To Miss Remainder of Monster Energy AMA Supercross April 11, 2019 After consulting with his doctor and the team, Monster Energy Yamaha’s Justin Barcia has elected to sit out the final three rounds of Monster Energy AMA Supercross. 10 Things To Watch: Indianapolis March 15, 2019 Barcia and Falk return, Savatgy looks to keep momentum rolling, and more. Justin Barcia Back for Indianapolis Supercross March 14, 2019 Barcia has been cleared to return to action this Saturday night in Indianapolis. Injury Report: Indianapolis March 14, 2019 Who’s in and who’s out for round 11. Justin Barcia Out For Daytona March 8, 2019 Monster Energy Yamaha’s Justin Barcia will miss a second consecutive race due to a concussion, Racer X has learned. Injury Report: Daytona March 7, 2019 Who’s in and who’s out for Florida. Justin Barcia Out For Atlanta February 27, 2019 Evaluated for concussion symptoms. Tyler Bowers Releases Statement Regarding Disqualification At Arlington SX February 18, 2019 On Sunday, privateer Tyler Bowers released a lengthy statement on his Instagram page detailing his thoughts regarding his disqualification for “overly aggressive riding” in the second 450 heat race. Exhaust: Barcia Interview, and the San Diego Situation February 7, 2019 Jason Weigandt hits some topics in the latest podcast. In The Mag, On The Web: The Savior February 6, 2019 How Justin Barcia became Monster Energy Yamaha's unlikely answer.